Must be a member of an allied organization - AOBTA, APA, ASDC, ASVA, NCAAOM (North Carolina), NJAAOM & VTAA and listed on their website. Korean Hand Therapy (KHT) and acupuncture is a complete energetic medicine system located on the hands. Each hand embodies a hologram of the entire body. The hands reflect the current condition of the body. 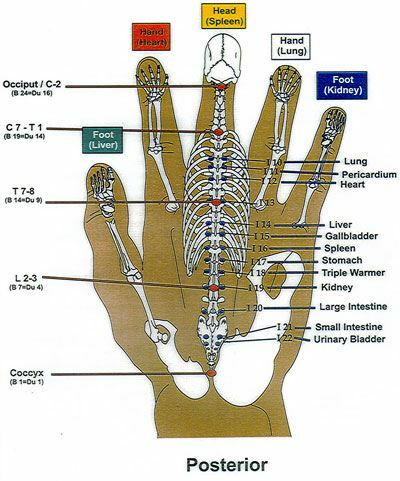 Pain or problems anywhere in the body have precise corresponding points on the hands. If you find the sensitive corresponding point and stimulate them, the problem often will be resolved. KHT is the perfect addition to all other treatment modalities. Or, it can stand alone as a complete treatment approach. Long experience shows that it can reduce or eliminate pain instantly in most situations. KHT and acupuncture is more than a correspondence system like auricular therapy BECAUSE it includes a micro-meridian system on the hands that parallels the body system. This greatly amplifies the healing effects possible. It combines perfectly with body acupuncture.You will leave this seminar with the knowledge, understanding and skill to apply KHT and acupuncture immediately to your patients. Learn treatment patterns for common problems based on meridians and physical systems: Musculoskeletal, neurological, digestive, and reproductive. Dr. Dan Lobash, Ph.D., L.Ac. has been practicing acupuncture since 1980 and Korean Hand Therapy clinically since 1988. He is the primary KHT teacher in the US, teaching hundreds of professionals annually. His offices are in Hemet, Santa Barbara CA. and Orlando, Florida. Dan studied with the founder of KHT, Dr. Tae-Woo Yoo, and organized many extensive training programs as well as weekend seminars in the US and Canada. He has a background as an engineer, psychologist and licensed acupuncturist in California and nationally. Whether attending the seminar or not, you are invited to participate in a lunch gathering on Sunday, November 12, 2017. Get your qi flowing by talking and eating with your colleagues! (RSVP if not attending seminar). Cancellation Policy: Registrations must be cancelled by October 11, 2017 to receive no more than a 75% refund. Cancellations after October 11 will not receive any refund.